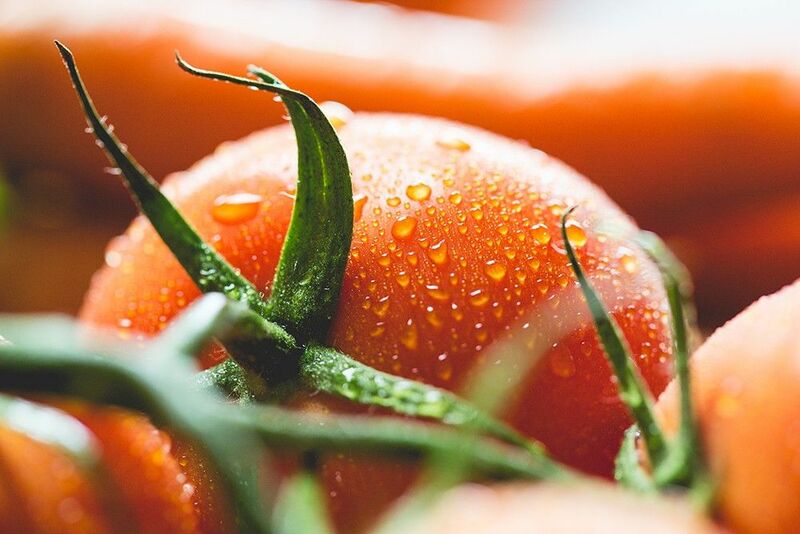 Many studies have shown that consumption of fresh or processed tomatoes is linked to a reduction in the risk of certain cancers, especially prostate. This preventive quality can be credited to the lycopene content in tomatoes. This antioxidant, which belongs to the large family of carotenoids is also responsible for the tomato’s red color. Our bodies are known to better absorb lycopene, when the tomato has been cooked in oil. So this is another why you should prepare a variety of dishes containing tomatoes and also lay in a stock of reserves before the summer finishes. But don’t worry, I’m not about to suggest that you toil for many hours just to make preserves! My trick is to make tomato purée reserves, which can be perfectly preserved for many months in the freezer. All you have to do is to get some nicely ripened Italian tomatoes, cut them in half and cook them for about ten minutes in a little bit of water and salt, until they become tender. Next, purée the tomatoes by passing them through a food mill to remove the skin and seeds. Put the purée back into the cooking pot and simmer over medium-low heat, uncovered for about 1 1/2 to 2 hours, until the volume has reduced to about one third of the original volume and the purée has reached the consistency of a sauce. Let it cool down, then transfer it into small containers and freeze. Personally, I make enough of this fresh tomato base to last the entire year. I use it in any recipe that requires diced or canned tomatoes. Originally published in the Journal de Montréal on September 13, 2008.